Welcome back my Friday Reading List! I have chosen some great stories for you today. 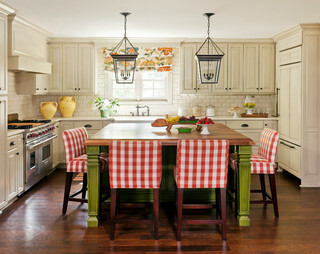 Hop over to Houzz to read about this lovely kitchen of the week on the Houzz Stories Page. One of this year’s big trends in the home design world is walk in pantries. Many house plans feature these luxurious rooms, but why should you consider having one in your home design? Welcome back to Frusterio Design! Today, we complete our 3 part series on different styles of roofs. Our goal as a design firm is to not only create beautiful home designs, but equip our clients with the knowledge to make educated decisions to what best suits their home design needs. Happy Wednesday! 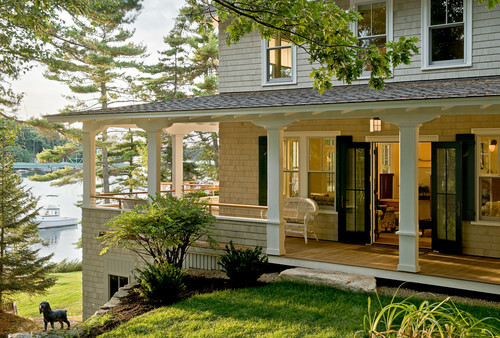 Today, I wanted to inspire you with some lovely photos of front porches. This time of year can be so hot and miserable, but the breeze and shade of a front porch can provide much needed relief. In our overall goal to educate our readers, we are sharing with you details on different types of roofs! Today, we continue our series with descriptions of three roofs.